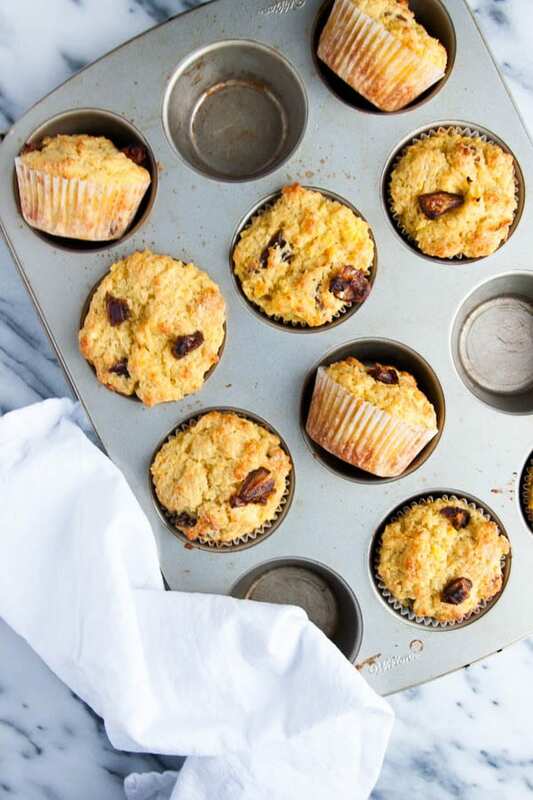 These Quick Orange Date Blender Muffins are my absolute go-to muffin recipe. They are so simple to throw together – a whole orange (with peel on!) and orange juice get mixed in your blender, then blended with the egg and butter. 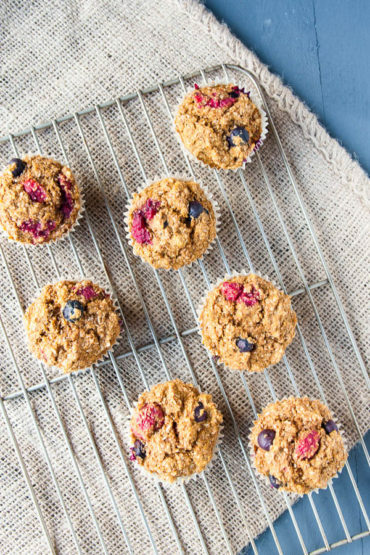 The few dry ingredients are mixed in a large bowl, the wet ingredients are added and quickly stirred, and BANG you have muffins! Dates add a pleasing sweetness to the tangy orange – if you don’t have dates on hand, then I’ve made this recipe many times with dried cranberries instead. 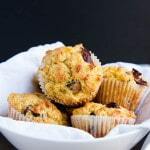 I like to bake a batch of muffins and then freeze them in a large ziploc bag – that way, you can pull one out in the morning, zap it in the microwave for 10 seconds, and you still have that freshly-baked flavour! Or, stash one in your purse, and by the time you get to work, it will be thawed. I am in the heart of Christmas party season right now – last night we attended our first, tomorrow is our second, and then we have two next week as well! And that is on top of all the family Christmas stuff that is planned. What a crazy month! I’m going to make it my resolution to have a festive party in January or February – let’s spread the fun out a little, people!! 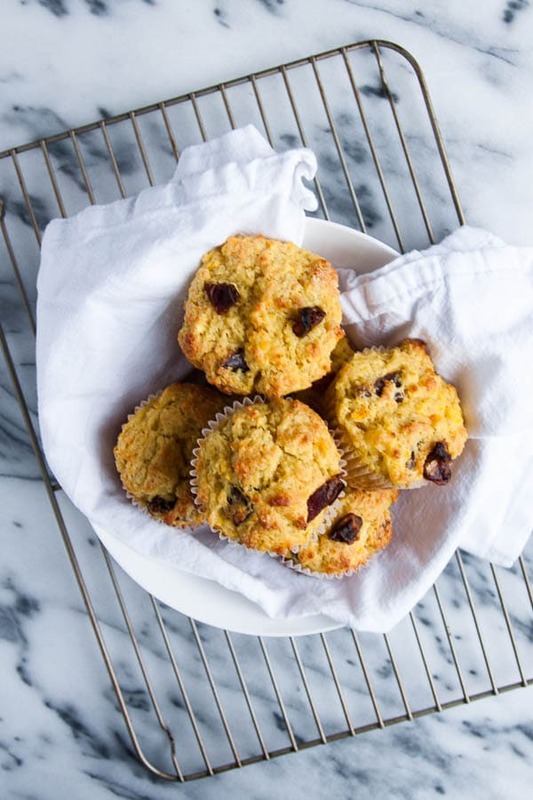 These muffins use an entire orange and most of the mixing is done in a blender! A big favourite in this house. Blend orange and orange juice in blender until smooth. Then blend in melted butter and egg. Set aside. In a large bowl, mix all remaining dry ingredients together, then add the blended wet mixture. Stir until just moistened. 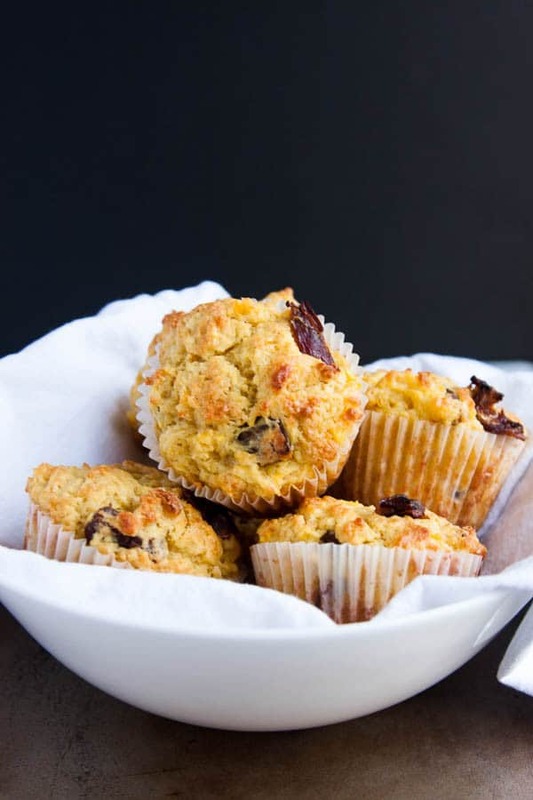 Drop into greased or paper-lined muffin cups, filling each 3/4 full. 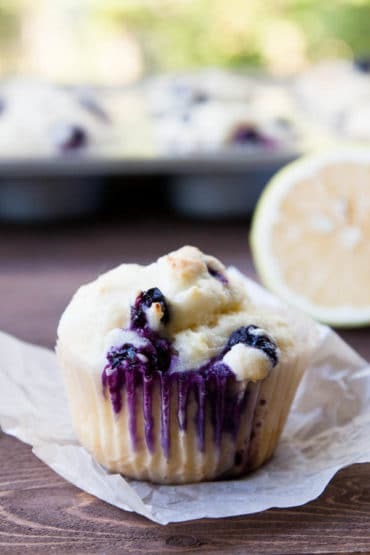 Bake for 18-20 minutes, until a toothpick inserted into the centre of a muffin comes out clean. 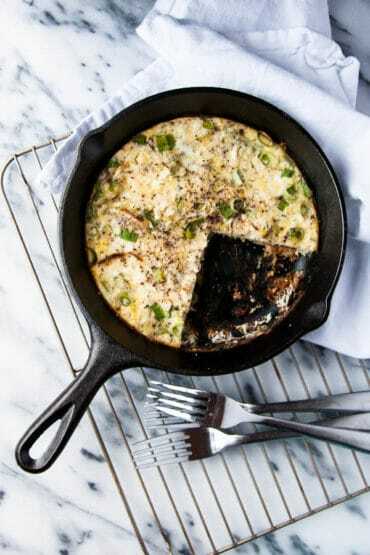 Slather with butter and enjoy warm! I love blender muffins! These look like such fun flavors! Me too! Got any fav recipes? Always looking to fill my freezer with more muffins! I made these today & they’re so good! I used 1/2 cup of maple syrup instead of sugar (so I reduced the orange juice to 1/3 cup to try & compensate for the liquid), but they’re plenty sweet, so next time I might reduce the syrup even more. I also subbed in 3/4 cup of whole wheat flour & added in some pecans for crunch. I love them & plan to make them again soon. Thanks for a great recipe! That’s such a great idea! 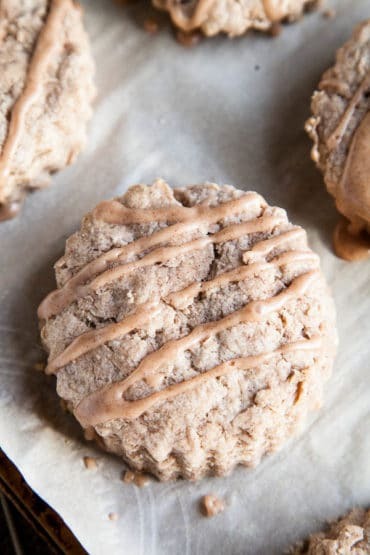 I love subbing in maple syrup when I can too – next time I make these I will try your adjustments! Hi Carol – I have made this recipe many times with both medium-size and large-size oranges. Either work well. I’m thrilled to hear it! 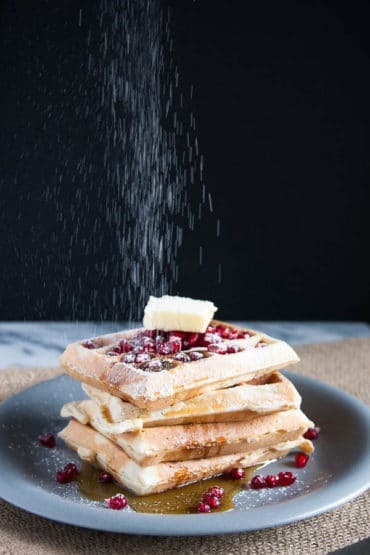 They are a staple in my house too – they are my husband’s absolute fav! Hi Shirley – a fresh lemon would probably work, although I have not tried it. However, I worry that the peel of a lemon is more tough and fibrous so it may impact texture, and also you may need more sugar! Let me know how it goes!